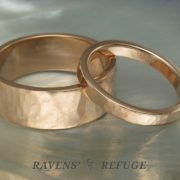 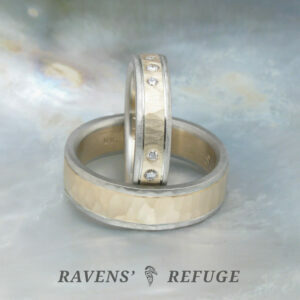 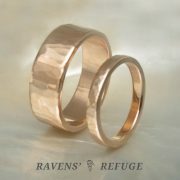 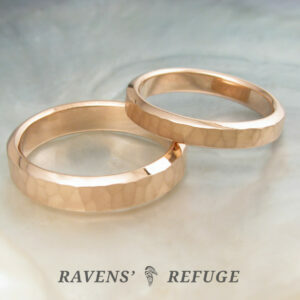 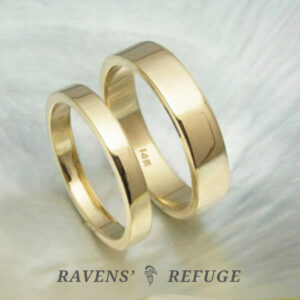 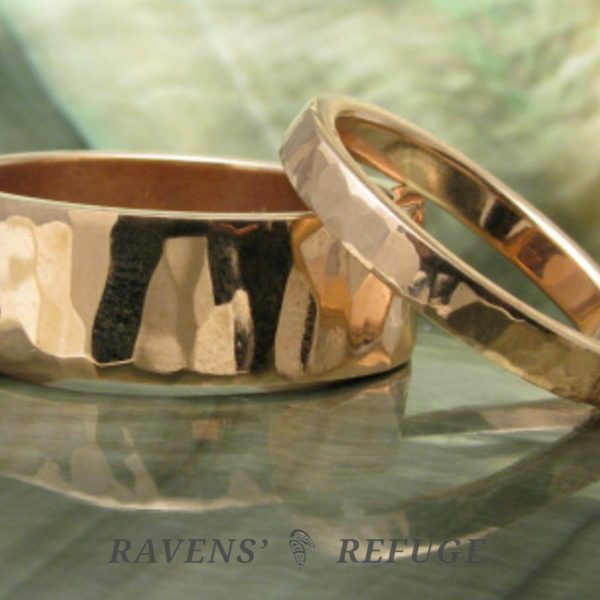 These matching bands will be hand-rolled from a single ingot of 14k gold that Dan has alloyed and poured himself. 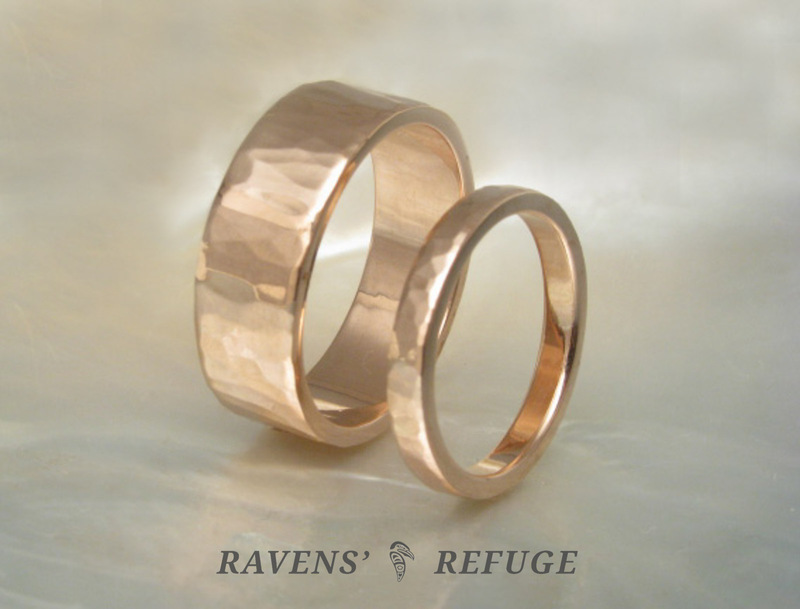 With this set, you will feel a warmth that comes from knowing that the symbols of your devotion to one another were created from the same source! 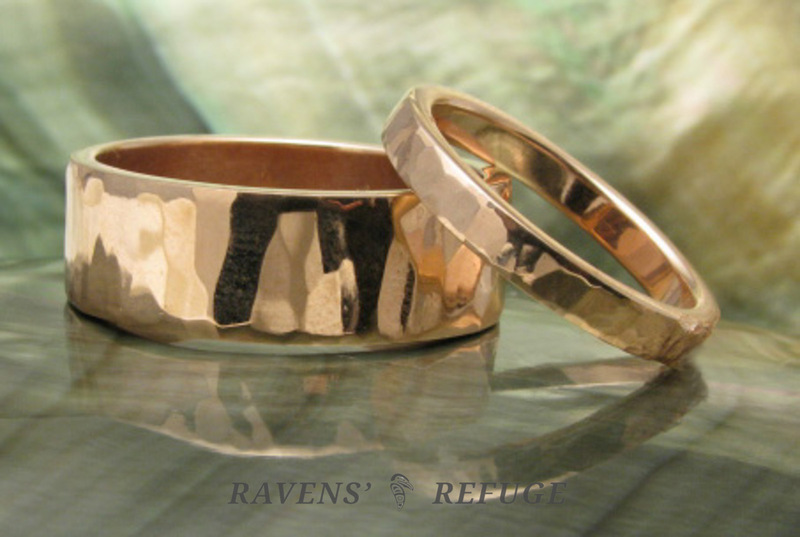 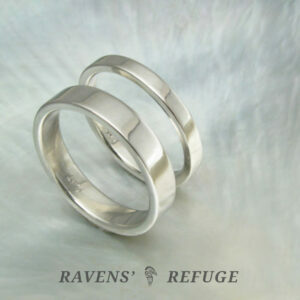 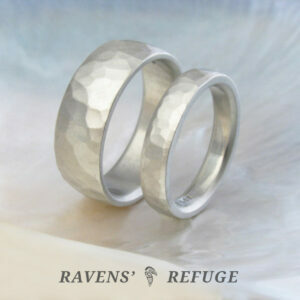 The larger band pictured is hand rolled from hand-milled stock that is 7mm wide and 1.5mm thick. 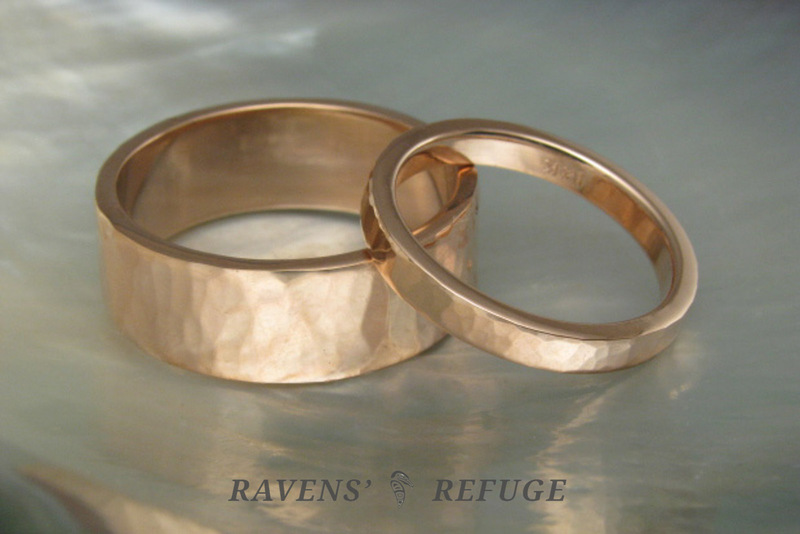 The stock of the smaller band is 2.5mm wide and 1.5mm thick.